RICHMOND, Va. (Sept. 12, 2009) — Carl Edwards won the race off pit road on Lap 227. Then he won the race. After his crew got his No. 60 Ford off pit road in the top spot under caution, Edwards ran away from Kevin Harvick over the final 20-lap green-flag run and won the Virginia 529 College Savings 250 Friday night at Richmond International Raceway. Because of an ignition problem in qualifying, Edwards started from the rear of the field under a penalty for adjustments outside of impound. For the third time this season, Edwards won a race after starting from the back. The win was Edwards’ fourth in the Nationwide Series this season and the 24th of his career, tying him with Tommy Houston for sixth all-time. Because he broke two bones in his right foot playing Frisbee before last week’s Atlanta race, he couldn’t do his characteristic victory backflip, but he savored the win nonetheless. Second in the Nationwide standings, Edwards trimmed the lead of third-place finisher Kyle Busch to 201 points. “My guys were the one tonight that made this one happen,” Edwards said. “That was a great pit stop. “We’re trying to catch Kyle, and we needed a run like this to do it. (Crew chief) Dan Stillman and all these guys did it for me tonight. Brad Keselowski ran fourth, followed by David Reutimann. Martin Truex Jr., Trevor Bayne, Justin Allgaier, Steve Wallace and Scott Speed completed the top 10. Polesitter Denny Hamlin led a race-high 101 laps, but a succession of problems dropped him to 17th at the finish. Two slow pit stops — due to lug-nut problems with the front tires — hampered Hamlin’s efforts. The No. 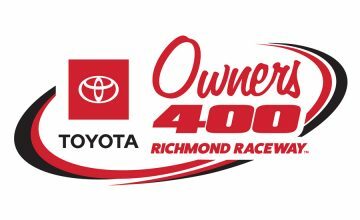 20 Toyota lost four positions in the pits on Lap 127, under caution for debris in Turn 1, and restarted sixth on Lap 133 of 250. Hamlin charged to the front, however, and took the lead from Busch on Lap 143, after a drag race around the .75-mile circuit. He held the top spot until Harvick passed him on the inside through Turns 1 and 2 on Lap 201. Hamlin regained the lead momentarily, but his car slid sideways as it approached the start/finish line on Lap 204. Contact with Harvick’s Chevy righted Hamlin’s Camry, but it knocked the fender into the left-front tire and forced Hamlin to the pits. 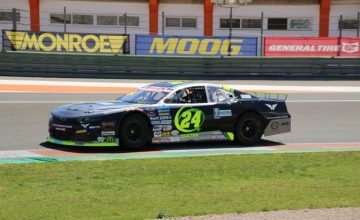 He lost a lap during repairs but regained it by race’s end.